Lime leaf chicken with sweet chilli sauce - home cooked food delivered. Skewers of tender, marinated chicken breast pieces and kaffir lime leaves, with a sweet and aromatic chilli dipping sauce with an unforgettable flavour. 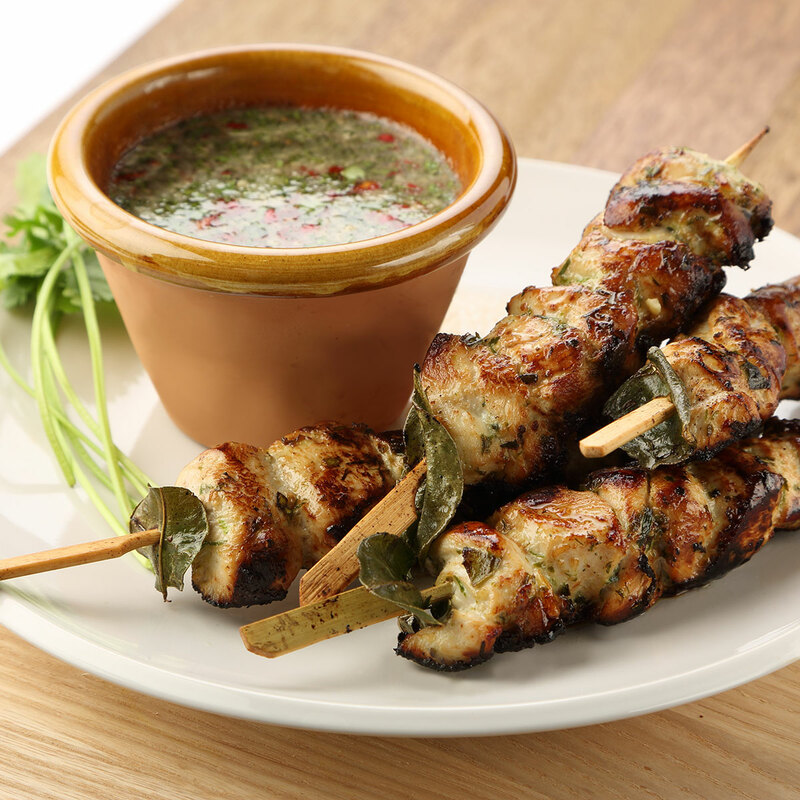 Simply char-grill and serve these succulent skewers for a truly mouth-watering starter.